The village of Ajijic is the center of most of the activities of the North American community. Once a sleepy fishing village on the north shore, it has since been discovered by the rest of the world. Writers such as D.H. Lawrence came and were inspired, as did many musicians, actors and dancers. Some of entertainment’s famous stars, such as Elizabeth Taylor and Charles Bronson once came here to escape the hectic pace north of the border. The Ajijic, Lake Chapala community is a haven for many artists who still find inspiration being surrounded by the natural beauty of Mexico. The village church which is dedicated to San Andres (St. Andrew), the patron saint of Ajijic and the little chapel were built in the 1500’s and are located on the plaza square. The church was rebuilt in 1749 and is referred to locally as the ‘new church’. The traditional plaza square is the center of local fiestas and is always busy with families on Sunday evenings. The cobblestone streets date back to colonial times, and provide totally recyclable paving material today. Wednesday is market day in Ajijic, and you can find the local Tiangus (street market) complete with everything you might need. In addition to the most beautiful display of fruits and vegetables, you’ll find flowers, clothes, pots and pans, jewelry, tools, pizza, hand carvings, paintings and just about anything you can imagine. Near the center of the village is the Lake Chapala Society which features a huge tropical garden setting, located on the former estate of the famous writer, Neil James. The Lake Chapala Society is a non-profit organization chartered under Mexican Law as an Asociacion Civil. They currently have over 3,400 members from over 31 nations. Throughout the village you will find many fine restaurants, hotels and B & B’s. Enjoy browsing the numerous designer boutiques, shops and art studios/galleries. Buses and taxis are available but are sometimes held up by the occasional burro carrying a load of goods for his owner. Enjoy the new refurbished lakefront walkways and parks on wonderful morning walks. As its name suggests, La Floresta is a paradise of trees and flowers, with wonderful mountain views. Professionally designed by renowned architect Samuel Orozco Beltran, La Floresta exudes space, beauty and elegance. The oldest of Lakeside’s communities, this well-established neighborhood is within walking distance to San Antonio and all of Ajijic’s best restaurants, shops and boutiques while providing peace, quiet and privacy for its homeowners.Beyond La Floresta’s impressive entrance gate you will find unique and stately homes protected by artistically-designed and immaculately maintained, flowered walls. This mature, well-managed neighbourhood (whose homeowners enjoy daily garbage collection and nightly police security) is one of the most sought after communities at lakeside. 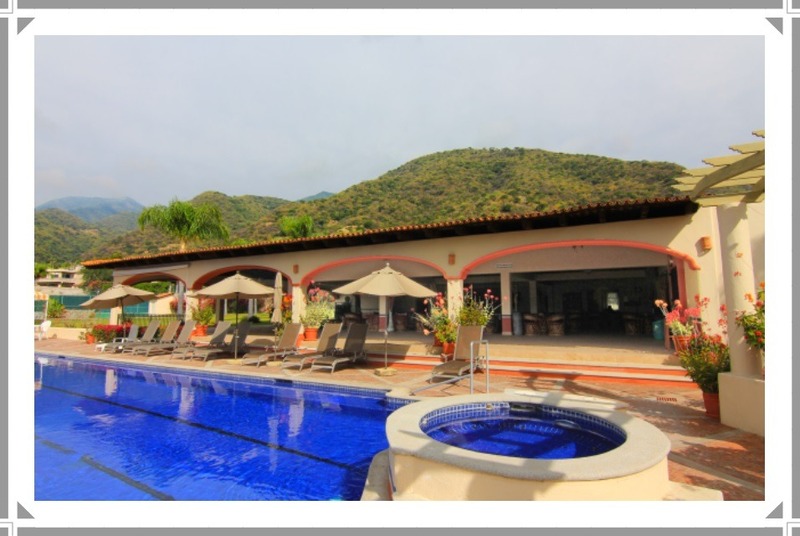 Little wonder that properties in La Floresta, — also home to the only 5-star Hotel in Lakeside, the Hotel Real de Chapala — command excellent resale value. 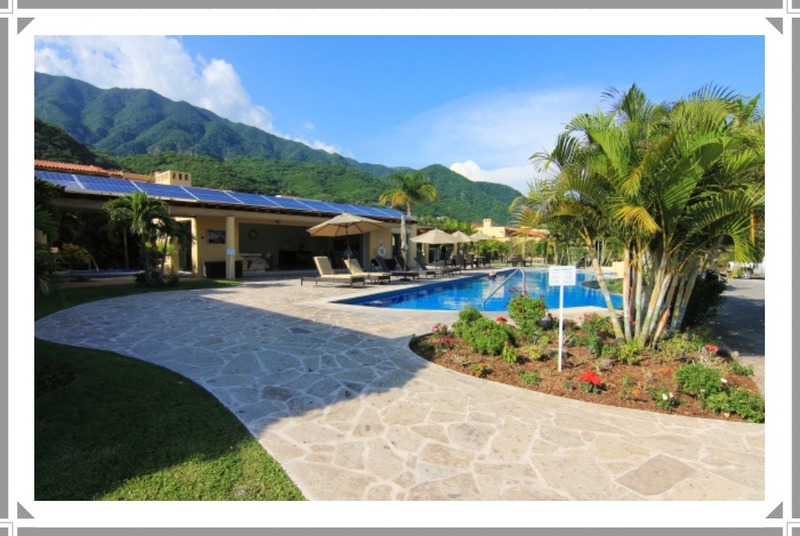 Riviera Alta is an exclusive gated community, situated on the mountain side above La Floresta. This community boasts some of the best lake and mountain views in the area. The Sierra Mountains surrounding Lake Chapala help create a comfortable, temperate climate and soft breezes. Riviera Alta offers you privacy, security and tranquility … and yet, you are within walking distance of Ajijic. A wide, flagstone boulevard, flanked by stately palms, welcomes you into the neighborhood. On either side of the boulevard are tiered streets, each with its own gate. Stone walls are blanketed with vibrant colored bougainvillea, providing privacy. The solar-heated pool, hot tub & large club house is one of the nicest at Lakeside & is an ideal setting for presentations, recitals, dances and social events. Every Friday evening, neighbors gather for an informal Happy Hour—a wonderful way to meet new people and catch up on the latest news. And its fully equipped kitchen can accommodate a large function. 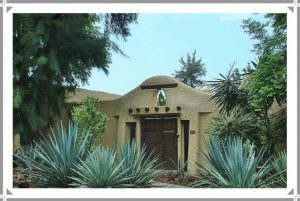 The gated community, “La Huerta”, the Orchard Village, is situated on the western edge of Ajijic in the area called Tio Domingo. Close enough to walk to the village, and yet you are far enough away to avoid the village noise! Majority of the homes in La Huerta were built by well-known developer, Jaime Hernandez. This established and secure community of only 35 homes, is renown for its many mature fruit trees … mangoes, avocados and other trees. The common areas are beautifully landscaped and maintained. The winding, interlock brick streets are swept daily. Back yards are separated with screening that is overgrown with vines and hedges. The gardens are surrounded by lush vegetation and are private. Los Sabinos is one of Lakeside’s gated communities situated just west of Ajijic. For the past 15 years, well-known Lake Chapala developer, Grupo Desherman, has created many prestigious developments; Los Arroyos, Los Olivos, Arroyo Sur, Arroyo Encantado and the Plaza Interlago to name a few. Los Sabinos joins this exclusive group. Wide interlocking brick streets wind up the mountain side, offering wonderful mountain and lake views. Tranquility and privacy reign here beginning with the high street walls that will soon be covered in brilliant bougainvillea, to the walled back gardens of each homeowner. The pool and club house are nearly completed and will be the meeting place for cocktail time! Situated approximately eight minutes west of Ajijic, along the newly paved & widened Carretera-Chapala highway that runs along the north shore of Lake Chapala, is La Cristina. Here, you will find an assortment of beautiful homes on large lots, some would even be called estates. Mexico’s most famous golfer, Lorena Ochoa, has a home here! 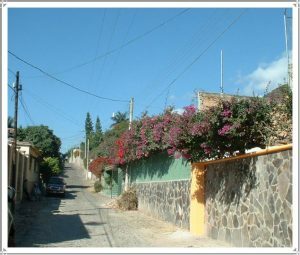 About halfway to the lake from the Carretera is the small adult community called “Villas La Cristina”. Inside the big iron gate (with intercoms to each home for security) you’ll find 6 beautiful homes, painted with bright colors and many with stylish domes and cupolas. Birds and the rustling of the wind of the lake (just a couple hundred meters away) are only sounds. On the mountainside of the main throughway just west of Ajijic are several elegant neighborhoods and Las Salvias is the one closest to the village. Homes wind their way up the side of the mountain and take advantage of the spectacular views of the lake and mountains. Mature trees, lush gardens, flowering trees and flowers with wide cobblestone streets and bougainvillea covered walls add an air of stateliness and grace. This much sought after neighborhood is experiencing excellent resale activity, renovations as well as new construction with Mexican nationals and gringos.